I’ve seen Thank You Farmer products on Instagram quite a lot recently, and was happy to get the opportunity to try a few myself when StyleKorean offered to send me some — I ended up choosing the CC Cream and the Water Sun Cream. I love the product design of the packaging but was eager to see if the inside did justice to the outside. I already had the Thank You Farmer True Water Deep Serum from a previous beauty box, so decided to review all three products together. These products were received free to review. All reviews constitute my honest opinion. I’d heard really good things about Thank You Farmer products from several other bloggers, so my expectations were high. I’m always on the search for a product that will allow me to forgo foundation or BB cream, but still make my skin look better without wearing heavy makeup. I think that the Thank You Farmer CC Cream may be as close as it gets. This is a luminous pink-toned CC cream that you can use by itself as a light foundation, or use as a primer under your BB cream or foundation. If you ever struggle with sallow skin that looks dull and tired, this is a great product. Sometimes, if I don’t get enough sleep or have not been exfoliating consistently, my skin can look the opposite of luminous. The Thank You Farmer CC Cream subtly perks up the color of my skin with its luminous pink tones, without looking ashy or unnatural. It leaves my skin with a dewy sheen that makes my skin look younger and fresher. It also helps to even out some of the uneven pigmentation and pores, though it certainly doesn’t cover blemishes. I’ve tried half a dozen similar glowy base products and I do think the Thank You Farmer is my favorite. It’s very light and natural looking, but it does provide some level of skintone-evening benefits. Unlike others, it doesn’t cling to dry spots, but doesn’t look like it’s melting off at the end of the day either. For me, it’s the perfect consistency. SPF30 PA++ isn’t super high sun protection, but since I wear a separate sunscreen, I don’t find this to be a problem. It comes in only one shade, which works fine for me at NC25, but if your skin tone is deeper, I’d be cautious about it looking a bit ashy, though it could still be used as a highlighter. Overall, I really like the Thank You Farmer CC Cream and I’m glad I chose it to review. People with drier skin seem to really like the Thank You Farmer Deep Serum. It’s a somewhat thicker gel consistency for a serum and I did find it to be quite moisturizing. However, what I didn’t like too much about it is that it leaves a siliconey film over my face and doesn’t seem to absorb well. 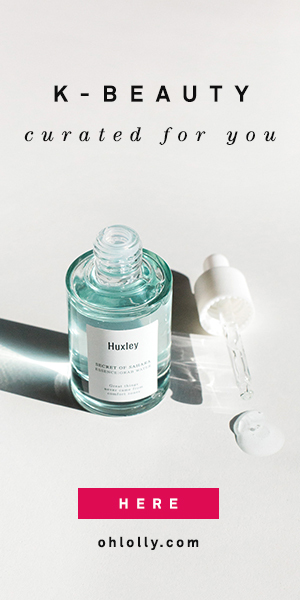 I’m not opposed to silicones per se, as they can be excellent occlusive agents that prevent water loss from the skin (and they are an ingredient in some of my favorite products reviewed on this blog). But I felt like this serum felt too siliconey and thick for a serum step, which made it hard for me to layer multiple essences and serums with it. I tend to favor watery to medium-viscosity serums, because I like to layer so many of them. If I were going to use just one serum step, the Thank You Farmer Deep Serum would probably work very well, but because I’m layering several, it just feels a little too heavy for me. This is entirely my personal preference, and keep in mind that my skin is combination-normal, so if you have drier skin this may work better for you. I do like many of the ingredients in this serum, including sodium hyaluronate, licorice root extract, and beta-glucan, it was just the thicker texture that I did not love. I found that when reaching into my skincare cabinet, I often chose other serums instead of this one. Overall, I felt a bit meh about the Thank You Farmer Deep Serum. The Thank You Farmer Water Sun Cream SPF50 PA+++ is a moisturizing sunscreen with a creamy consistency. It uses a mixture of chemical and physical sunscreen filters including octinoxate, homosalate, octocrylene, Uvinul A Plus, and titanium dioxide. I was pleased that this suncreen included Uvinul A Plus, a filter that isn’t common in US sunscreens but is used in many other countries. Uvinul A Plus is a pretty decent UVA filter so it bolsters the titanium dioxide in screening for UVA. The Thank You Farmer Water Sun Cream feels like a medium-consistency moisturizing lotion. It spreads out very nicely with plenty of slip. With my combination-normal skin, I can effectively use it as my last moisturizing step in the morning, instead of using a day cream. If you have oily skin, I imagine it might be a bit too creamy and moisturizing, unless you cut down on your morning skincare steps. I love that it doesn’t dry out my skin throughout the day, though in the summer it was sometimes a bit too moisturizing if I layered it over another cream. I think it will be wonderful this winter when my skin needs more moisture. I’ve been using it on my kids’ faces because their skin can’t handle drying sunscreens, and they haven’t had any irritation from it. Overall, I’m very happy with this sunscreen and I think it’s a quality product, perfect for combination to dry skin. Thank You Farmer CC Cream: Yes, totally recommend for glowy, fresh-looking skin. Thank You Farmer Deep Serum: No, not my favorite, but may work well for dry skin types. Thank You Farmer Water Sun Cream SPF50 PA+++: Yes, a lovely moisturizing sunscreen perfect for combination-dry skin types. These products were received free to review. All opinions are my own. No affiliate links in this post. Ahhh shoot, why only one shade for the CC cream? 🙁 I do like the sounds of the serum and sunscreen, great…another two new products added to my ever growing list to buy. The sunscreen is great, I highly recommend it! I do wish the CC cream came in a deeper shade, but since it doesn’t provide much coverage maybe it would work as a highlighter or a glowy base under foundation for deeper skin tones. Thank You Farmer has been a brand that’s been on my radar for a while as I’ve heard great things about their product as well. I’m especially intrigued by the CC cream as it reminds me of this Maybelline baby pink primer/base that I used to love! Thank you for the reviews! I like the CC cream a lot, I use it most days since I don’t like to wear heavy makeup!